TAWI, Elevatie - material, Poduri rulante, Lifting device, pe EUROPAGES. 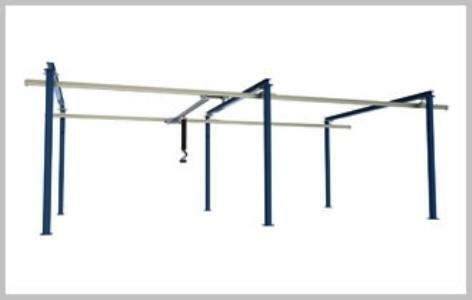 For decades, TAWI lifting equipment has improved efficiency and employee health in businesses worldwide. Swedish quality and innovation has been the heart and soul of TAWI from the very start. We offer a wide selection of lifting solutions for everything from food manufacturing to wood industry. Our lifting equipment handles everything from boxes and sacks to cheese and windshields. We turn, tilt and rotate heavy barrels, large panels and more. 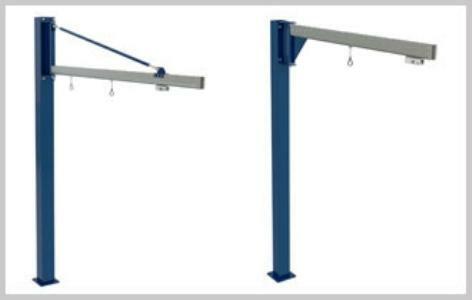 Our solutions include vacuum lifters, hoists, crane systems and mobile lifters. We are proud to be the most complete supplier of lifting solutions. Proud that an increasing number of companies rely on TAWI to ensure an efficient and safe business. When you choose TAWI, you can be sure that you will get a solution that is 100% TAWI; from design, through production, to installation and service you will find our own staff doing their very best to meet your needs. Electric lifting trolley Pro100ESE with squeeze and turn for handling rolls. Easy and ergonomic lifting of crates with TAWI's EasyGrip. Articulated jib arm with electric lifting mast and vacuum tool for drums. TAWI vacuum lifters lift all types of sacks. Available in stainless steel for sensitive environments like food production. 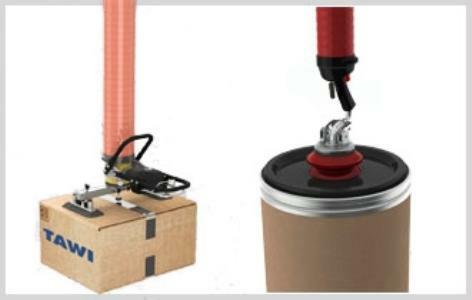 TAWI vacuum lifters can lift all types of carton boxes. We offer tools for gripping boxes from the tope, from the sides, or both. A flexible handle allows lifting above shoulder height. Lift any type of sheet or board. TAWI lifter can grip and lift anything from raw wood to laminate boards or glass sheets. TAWI Lifting Trolleys and TAWI vacuum lifters ensure efficient and ergonomic lifting. Innovative Swedish lifting equipment ensure safe, efficient and ergonomic manual handling in industries worldwide.